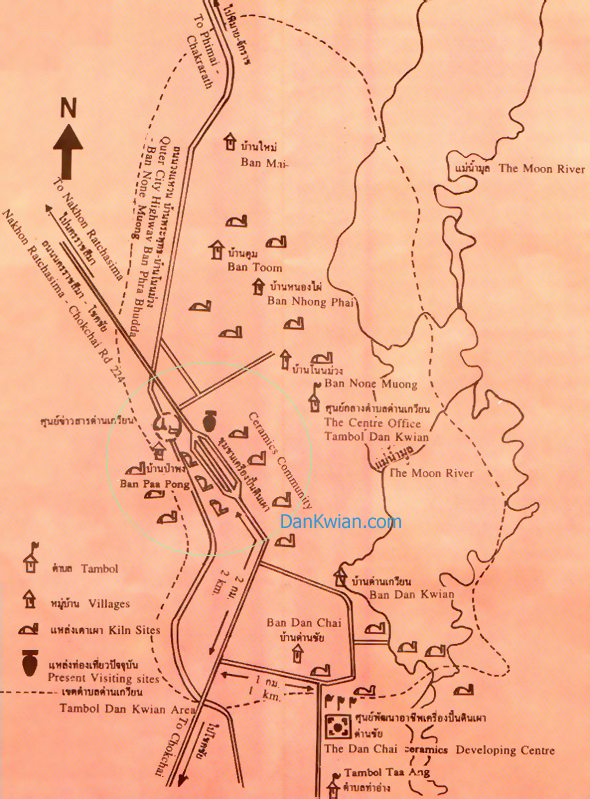 Dan Kwian The land of ceramics, is located in Tambol DanKwian, Chokchai District and is 15 kilometres south-east of Korat City, Thailand. Route No.224 Nakhon Ratchasima - Chokchai runs thougth the village where both sides of the orad are fulled of beautiful and astonishing ceramic shops.The moon River runs on the east side of the village. The Dan Kwian products become one of the major export goods from Korat, Thailand. copyright © 1999 - 2017 DanKwian.com : The Land of Ceramics.